Last Thursday (September 4 2008) Nissan has added a Diesel to its line up in Japan. Its been six years since a Japanese company has built a diesel car to sell in Japan. 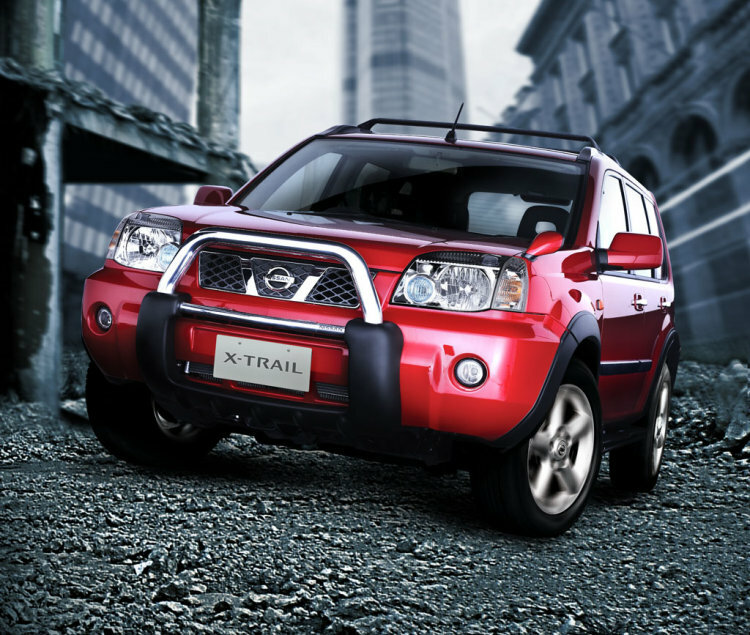 The X-Trail is a compact cross-over SUV, it uses the same platform as the Nissan Rogue. The Diesel engine (M9R, Launched in 2005), Co-developed by Renault and Nissan, is one of the most efficient diesels in it’s displacement range (2.0L). It’s Designed to be quiet and clean. Japan will be raising the bar for its emissions standards for automobiles in October 2008. These changes will make Japan home to the strictest emissions in the world, and this engine is already compliant with the new standards. Japan is also home to people who don’t like diesel powered cars very much. Diesel Stereotypes are to blame for the poor public opinion about diesel cars. Nissan wants to change the misconceptions about diesels, and I believe they can do it. This 2.0L diesel gets 30% better fuel efficacy then the 2.5L gas engine its replacing. They picked a perfect engine to persuade the car buying public in japan. So now if your find yourself in Japan, you have two diesel cars to choose from. This new Nissan X-Trail 20GT or The Mercedes-Benz 320 CDi. Yeah, that’s it, just two diesel cars in Japan for now. If this X-Trail diesel sells well, Nissan already has plans of making other models available with diesels. 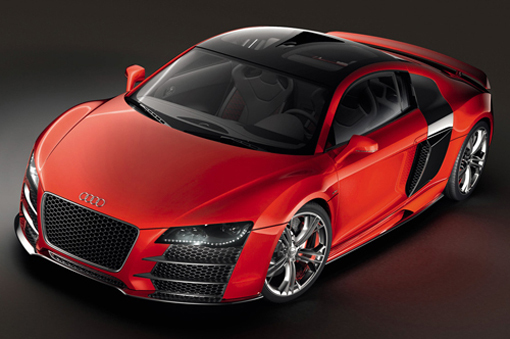 Audi’s flagship sports car the R8, has been fitted with a 6.0L V12 (can also be found in the Audi Q7 TDi V12 Diesel.). This V12 is a close relative of the engine found in the R10 Diesel Race car. Which has won twice at Le Mans. This car will shatter negative perceptions some consumers may have about diesel cars. This V12 Produces 500 horsepower and 738lb-ft of torque, and all that power is put down on all four wheels with Quattro permanent all-wheel drive. It can rocket from zero to 62 in 4.2 Seconds, and still manage to get up to 23 combined city/hwy MPG. It meets the most extreme emissions standards in Europe. This Diesel R8 V12 TDi is still a concept, but it has a high probability to become a production model. I can’t think of a better way to change opinions about diesels then with a 186mph super car. In 2009 Honda will be sending the U.S. one of their fine diesel models. The Diesel Accord will be replacing the Accord Hybrid. The Accord Hybrid didn’t really sell well. They seemed to be over priced, so a lot of them have been gathering dust at the dealerships. This is bad for Honda because these high tech Hybrids are expensive to build and develop. Now what they have decided to do here is bring in the European 2.2 i-CTDi Diesel engine, and make it 50 State legal. The up side for Honda is that the 2.2L Diesel is a lot cheaper to produce then the Accord Hybrid. The upside for you is that the Diesel Accord should be a lot more affordable to buy. Now the 2.2 i-CTDi Diesel is producing 138hp and 250lb-ft of torque. Honda has said that the car has achived 62.8mpg in tests, but it will probably be around 50mpg in the real world. When fuel costs $4.00 a gallon, the most important statistic on a car is miles per gallon. The diesel engine has proven to be very good at keeping you away from the gas station as long as possible. The main Competitor of the Accord Diesel will be the already established VW Jetta TDI, and in 2010 the Nissan Maxima Diesel will join them. The lower picture is of the European Accord diesel, which looks like a Acura TL. I’m pretty sure ours will look like the normal U.S. Honda Accord, in the first picture on the top. Cadillac was the first American company to make a Diesel passenger car in 1979. Some people may still cringe at the prospect of owning a Diesel Cadillac. After the late 70’s, Cadillac had to recover from the very poor reliability of its Oldsmobile built “dieselized” version of their 5.7L V8 gas engine. The root problem of this engine was just that, it was a gasoline engine converted by Olds to run Diesel fuel, and it was rushed through production. The Result was a bad reliability and a tarnished reputation for Cadillac and Oldsmobile. Here is a video showing off one of these old timers. Continue below for rest of article. This Cadillac CTS is going to change all that. A new Built from the ground up 2.9L diesel sits in the engine bay, with 250 Horsepower 405 lb-ft of torque. The engine was co-developed by Italy’s VM Motori, the same guys who brought you the Jeep Liberty Diesel’s engine. The new body style introduced in 2008 is very nice too, I really like the new look. Cadillac was originally saying that this engine would be for the European market only, but a lot of auto press seem to think GM will make it available in the U.S. I think if the Diesels that Mercedes-Benz, BMW, and Audi bring over do well, there is no doubt in my mind that Cadillac will sell it in the U.S.
Honda is planing several Diesel models for the United States in the next few years, one of them is Honda’s entry level SUV, the CR-V. It will be using the 2.2L i-CTDi engine. This four cylinder diesel is already used in Hondas in Europe, and is used in cars like the CR-V, Civic, and Accord. It produces 138hp and 250lb-ft of torque. The European version of the Honda CR-V diesel gets a Combined 36mpg, making it one of the most fuel efficient compact suvs you can get. With fuel cost being so high right now and showing no signs of dropping, this diesel CR-V will find a lot of happy new owners here in the states. In 2007, this 3rd Generation CR-V was the best selling SUV in the U.S. The base price of a CR-V at the posting of this article is $20,700. The diesel will be a little more expensive I’m guessing in the $24,000 range. It will be a direct competitor to the Volkswagen Tiguan.